Erin Moran has passed away. Erin Moran, who played Joanie Cunningham on Happy Days, has passed away at the age of 56. The cause of death hasn't been released at this point. I just saw the news. I am saddened to learn of her passing.
" 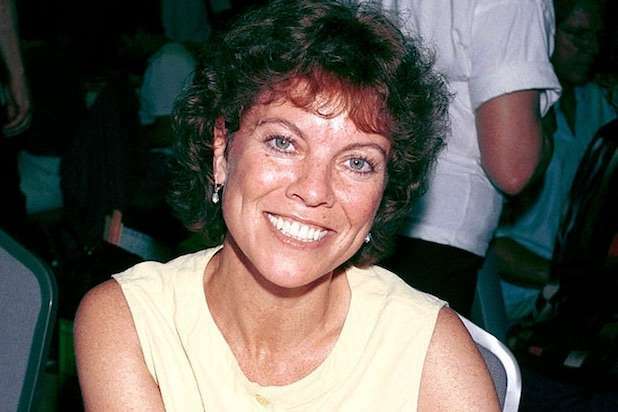 “Happy Days” actress Erin Moran has passed away, according to authorities. Around 4:07 p.m. Harrison County dispatch in Corydon, Indiana, received a 911 call for an unresponsive female. First responders determined that Moran was deceased. “Happy Days” broadcast from 1974-1984." That's a shame. I had read that her private life was no bed of roses the past several years. Sad news to hear I hadn't seen Erin Moran in any other roles besides Happy Days, but she was a wonderful part of that show. May she rest in peace. 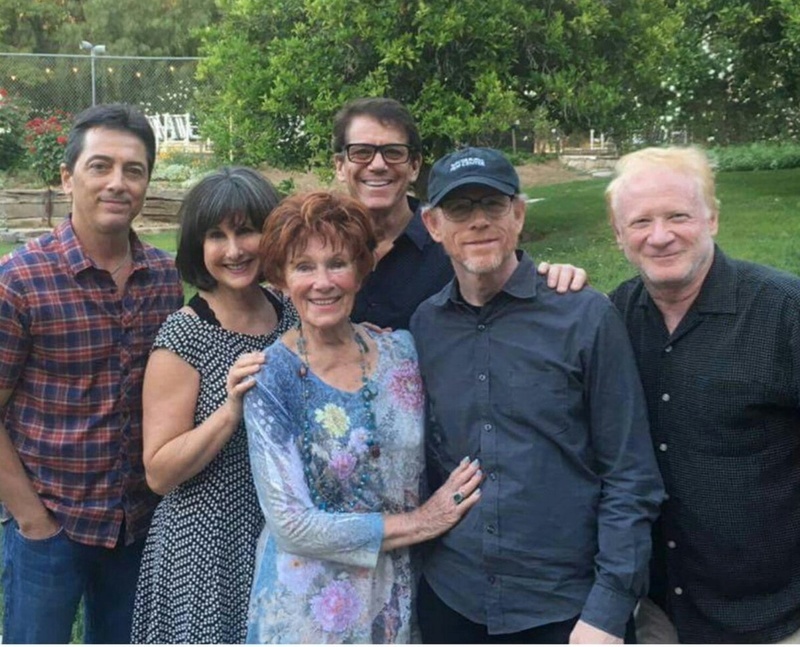 Erin Moran’s husband Steven Fleischmann shared details about the actress’ final days in an open letter posted on Facebook by her “Happy Days” co-star Scott Baio on Tuesday. Fleischmann wrote that the cancer was first diagnosed last November, after Moran discovered bleeding coming from her tonsils. After a biopsy revealed “squamous cell carcinoma,” Moran immediately began undergoing radiation and chemotherapy treatment. The actress died on Saturday at the age of 56, after having “likely succumbed to complications of stage 4 cancer,” according to the Harrison County Sheriff’s Office. Fleischmann further explained that she passed in her sleep while the couple watched television together. The autopsy conducted after her death revealed that Moran’s cancer had progressed far more than expected, having already spread to multiple other organs. “He said it was the best that she was with me and went in her sleep,” he continued. 11-23-2016. Maybe four or five days after we got back Erin woke up and had about a dime size blood stain on her pillowcase. She said I think I bit my tongue. A couple days go by and there’s a bigger spot of blood. We get like 4 days into December, there’s more blood. I get a flashlight and say let me look. It was not her tongue it was her tonsil on the left side. I thought it was tonsillitis. Norton Cancer Institute never said how bad it was... The coroner told me it was really really bad. It had spread to her spleen, she had a lot of fluid in her lungs and part of her brain was infected. The coroner said even if she was in the hospital being pumped full of antibiotics she still would not have made it. He said it was the best that she was with me and went in her sleep. PLEASE feel free to send the above to Any and ALL news outlets The press has been relentless. they knock on the door constantly. Thank you, Harrison County Sheriffs, I called last night and they came out ran them off got up this morning they were all back sheriffs ran them all off again. The last time two cop cars ran off the last ones right before it got dark. We will see what tomorrow brings…. Judging by the smiles, they seem to have had a good time. Marion looks really good. She's 88! Fun Fact: Anson Williams' real name is Anson William Heimlich. His uncle, Henry Heimlich, invented the Heimlich maneuver. Subject: Re: Erin Moran has passed away.